Create a crowd-pleasing public venue that captivates your guests. Give travelers, sports fans and conventioneers a memorable in-venue experience from their smartphones. 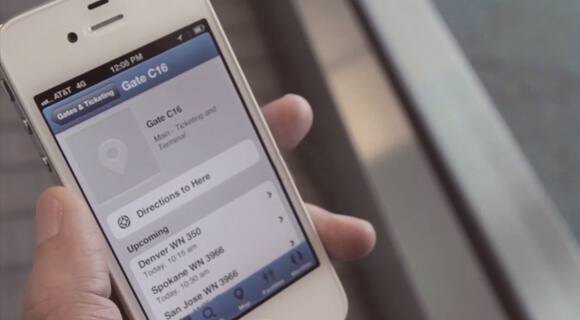 Reward guests with push-notification offers and indoor wayfinding. Dazzle them with video instant replay, in-seat food and beverage, mobile point-of-sale, and more. Our stadium Wi-Fi smashed all sorts of records at Levi’s Stadium’s biggest game. Just ask the 70,000 fans who took 200 selfies per second, got turn-by-turn directions, and ordered drinks from their seats — all from their smartphones. Inspire guests when they sign-in for Wi-Fi access. Welcome your visitors through a custom-branded web-portal that’s built for high-volume public access hotspots. It’s where you can entice them with ads and special offers while they sign-in for secure Wi-Fi access and download your mobile app. Make it easy for anyone to find their way. Nobody likes getting lost in the crowd. Whether you’re rushing to find your departure gate, looking for your seat in a crowded stadium or desperate to find the nearest restroom, our mobile engagement solution takes the stress out of indoor wayfinding. Keep guests engaged during their visit. Entice them with mobile apps that offer push-notifications with exclusive discounts on things they like to buy.